With more than 140,000 open-source projects floating around, finding the right one for your company is a daunting task. For IT managers, who usually don't have the vantage point that developers enjoy, the search can also be fraught with danger. Choosing or backing the wrong project can have far-reaching operational, legal and financial consequences. Now, Opatros Inc. has a helping hand. They have morphed their popular Open Source Catalogue into an online version that provides a searchable and interactive source for finding the open-source projects that best meet a company's business and technology needs. The Optaros Enterprise Open Source Directory (EOS) eliminates the need to download and print the hefty catalogue that Optaros introduced in November 2006. That version was downloaded over 10,000 times, however, indicating an industry need for this information. The online directory gives viewers a short description of the project, includes an Optaros rating -- one to five stars -- as well as a community rating, comments from community members, and a link to the project Web site. The ferment in the open-source community is one of the driving forces behind the move to an online, interactive product, according to Bruno von Rotz, Optaros's EOS Directory executive sponsor. Von Rotz explained, "Since the launch of the Open Source Catalogue six months ago, some of the leaders have further expanded their competitive positioning. Additionally, the ratings of more than 70 percent of all the projects listed have changed, and we have added and removed approximately 45 enterprise-ready projects. The open source community is developing so rapidly that an online resource is the best approach to capture changes and stay relevant." In other open-source news, business rules are moving into the mainstream with the release of JBoss Rules 4.0, which promises faster and leaner performance, a more powerful scripting language, point-and-click rules editing, and -- most important -- access to non-programming IT workers. JBoss Rules is the RedHat product that combines the Drools project with a JBoss subscription. JBoss blogger Pierre Fricke says the new release "lays the foundation for bringing rules-based solutions into Simple, Open and Affordable SOA deployments. . ." Would that be SOASOA or just SOA-squared? 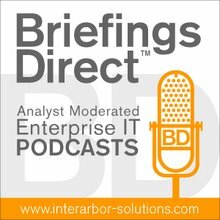 Tony Baer at Computer Business Review sees the new offering as a move by JBoss to position its new version "as a lightweight, more accessible alternative to spending tens of hundreds of thousands of dollars on more complex alternatives." Business Rules Management System (Technology Preview), a web-based, AJAX-enhanced, collaborative rule authoring, versioning and management system to help non-programming IT workers interactively author and/or modify rules that are then automatically versioned. In other JBoss community news, ICEsoft Technologies has announced what it's promoting as a "new and improved" version of ICEfaces, the company's flagship Ajax development environment. Version 1.6.0 now offers deeper integration with JBoss Seam, the Web 2.0 application framework. An earlier e-newsletter from ICEsoft reported that the new version contained more than 180 bug fixes, as well as several enhancements. ICEsoft claims a developer base of 12,000 and says ICEfaces has been downloaded more than 150,000 times. The latest version can be downloaded from icefaces.org.